Manufacturer of a wide range of products which include cooling centrifuge, clinical centrifuge, high speed centrifuge, cod digestor and colony counter. Application Research Labs, Colleges, Hospitals etc. Backed by the rich industry experience and knowledge, we are offering an excellent range of Cooling Centrifuge. The offered cooling centrifuge is featured with safety lid interlock to prevent cover opening during centrifugation. We develop this cooling centrifuge utilizing high-grade material and advance technology by our skilled professionals. Our cooling centrifuge is inspected from our side in order to supply a defect-free range in the market. Overcurrent overheating safety cutoff for motor protection. For our reputed clients, we bring forth an excellent range of Clinical Centrifuge. 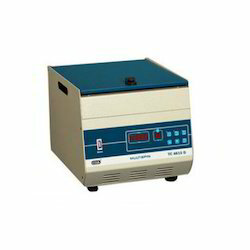 The given clinical centrifuges are valued in the market due to its flawless finish. These clinical centrifuges are precisely developed from the best quality material & leading techniques in adherence with the set norms of the industry. 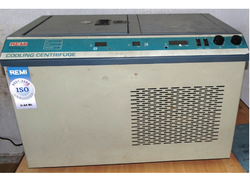 We provide these clinical centrifuges on varied specifications at market leading rates. Owing to our rich industry experience and knowledge, we are engaged in offering High-Speed Centrifuge. 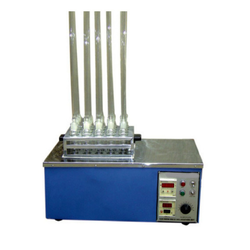 The offered centrifuge is developed with stepless speed regulator with zero start interlock. 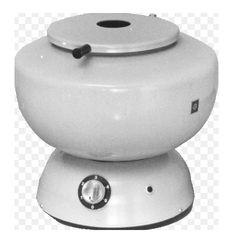 We offer this centrifuge in different specifications, as per the ever-evolving requirements of customers. 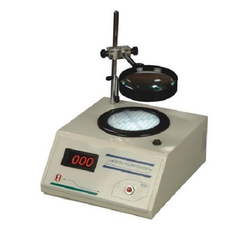 In addition, our centrifuge is had 0-99 minutes digital countdown timer & imbalance detector with cut off. Backed by a team of professionals, we have been able to provide our esteemed customers with Cod Digestor. The colony counter that is produced by our company is a kind of digital display apparatus for inspecting bacteria automatically.